This creature, the Upland Pillsnail, or Euchemotrema fraternum, is a small snail that inhabits much of the United States' Northeast region. It may be inhabiting any moist, wooded area with plenty of plant matter to obtain using its radula. This could include your backyard! 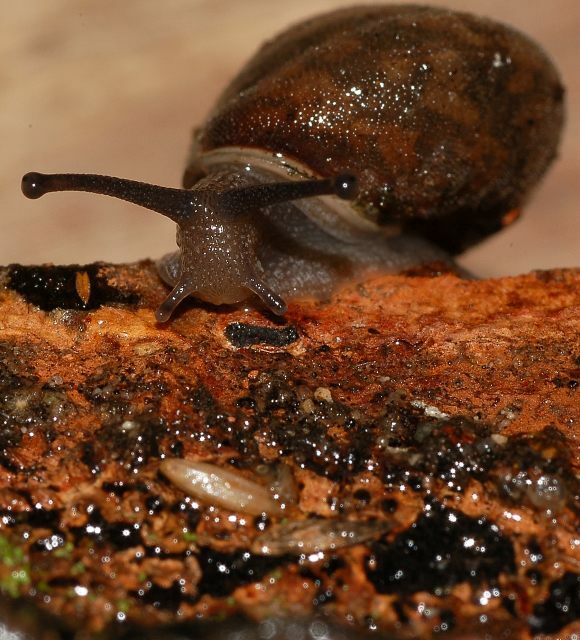 Are you cohabitating with Upland Pillsnails? Start with Species Classification or follow the links above! Euchemotrema fraternum. Ratcliff, Harlan. 2010. "A Snail." The Roused Bear blog.